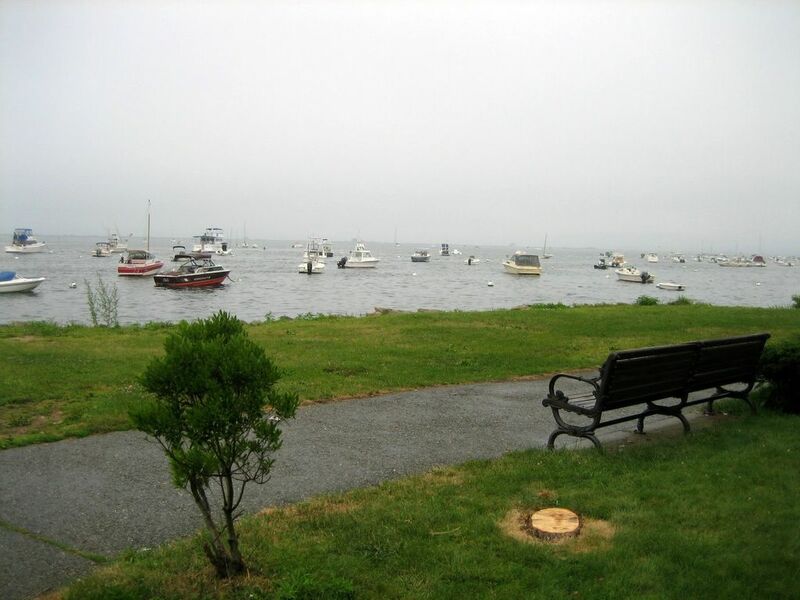 Plymouth is just a short 30-minute drive south of Boston. 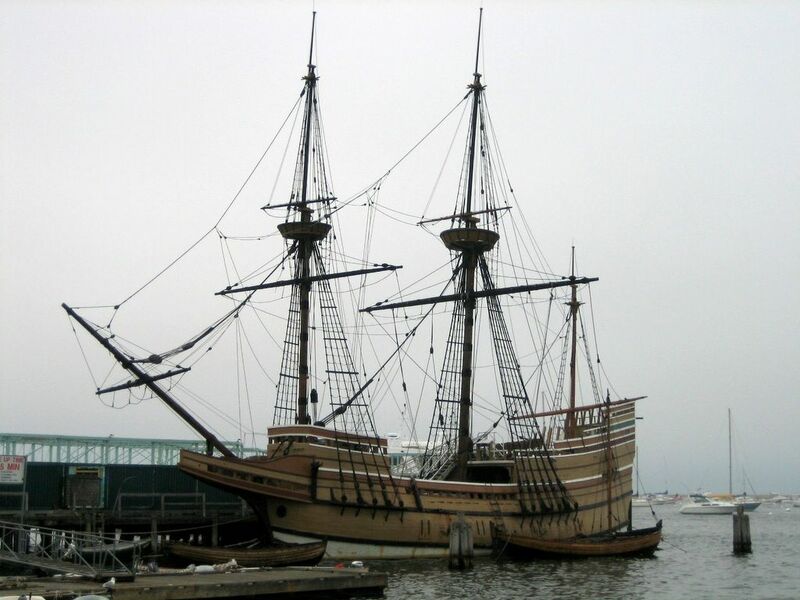 The Mayflower ship left Plymouth (England) and the Pilgrims called their permanent settlement in North America also Plymouth. 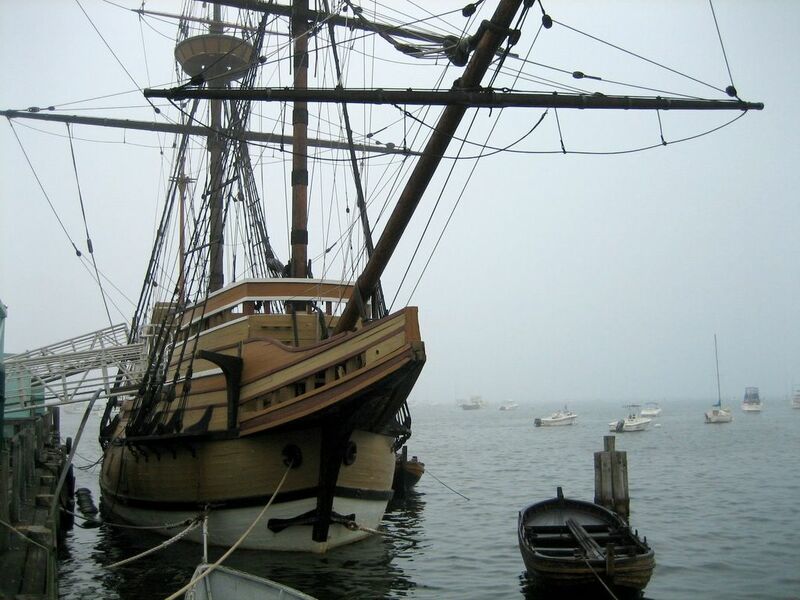 The photos show Plymouth Harbor with Mayflower II, a replica ship of the original Mayflower. 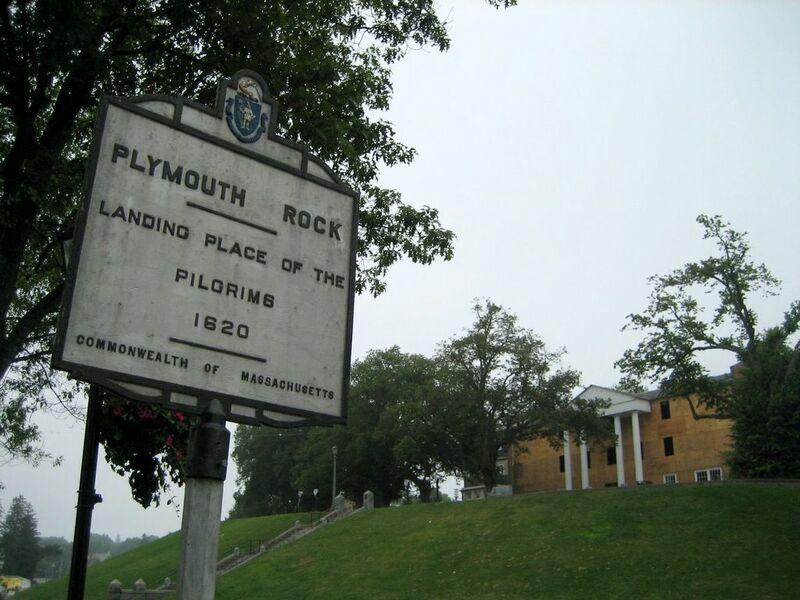 Plymouth Rock is a boulder of granite at the foot of Cole's Hill. 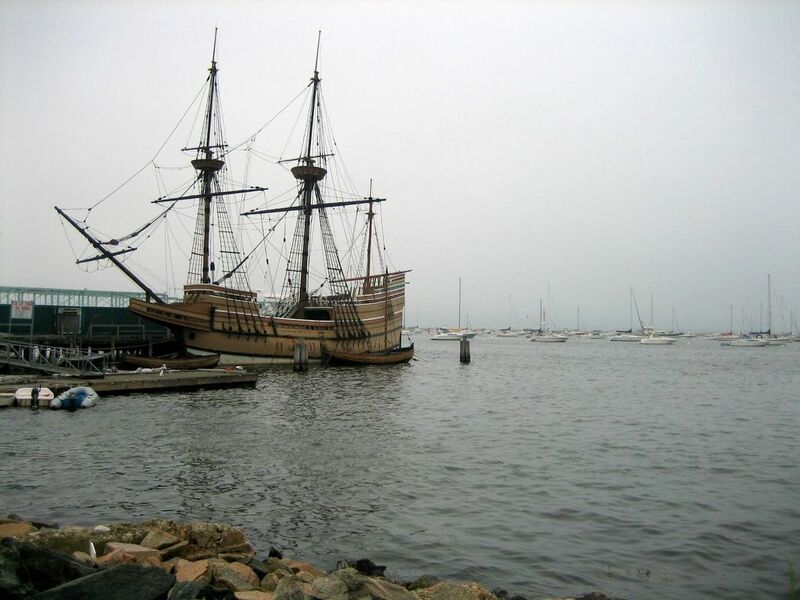 The rock is the traditional site of disembarkation of the Mayflower Pilgrims (source: Wikipedia). 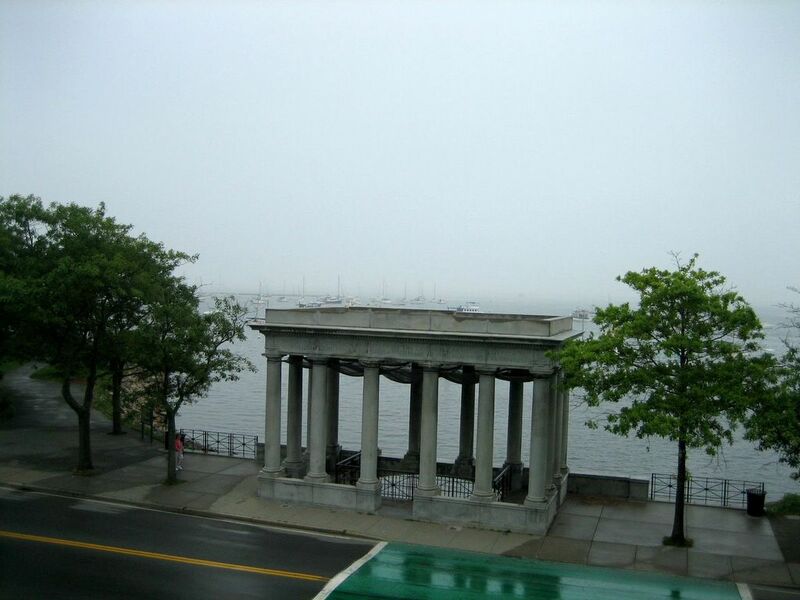 The second photo shows a hillside view at the structure that protects the Plymouth Rock. 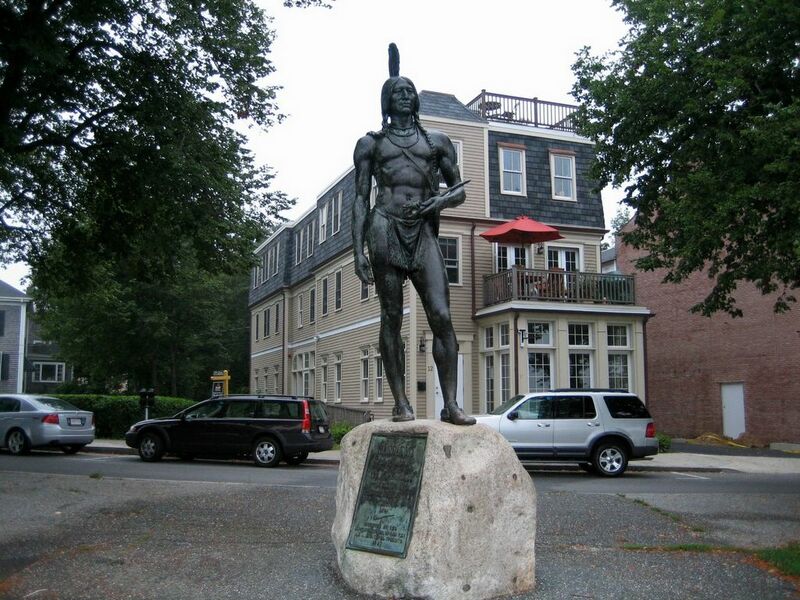 The statue on top of Cole's Hill is of Massasoit who was the Great Sachem of the Native American tribe of Wampanoags. 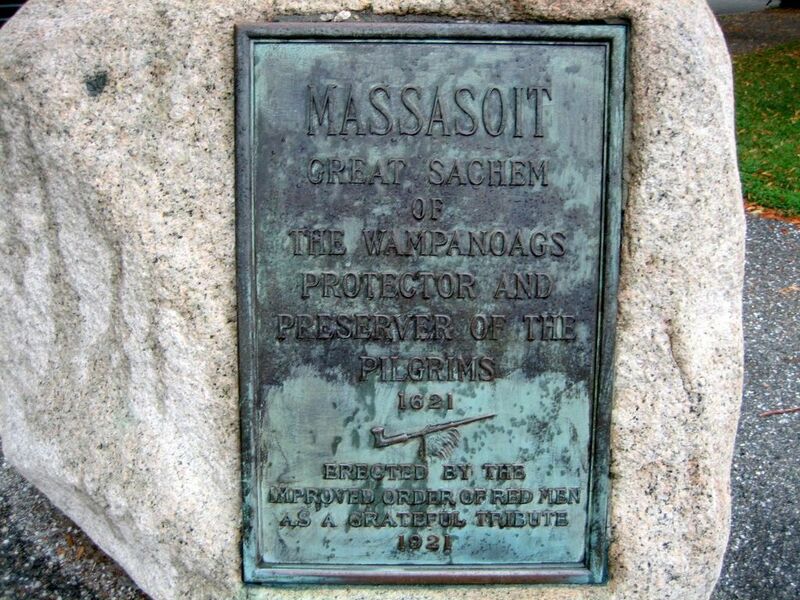 Massasoit prevented the failure of Plymouth Colony and the almost certain starvation that the Pilgrims faced during the earliest years of the colony's establishment. 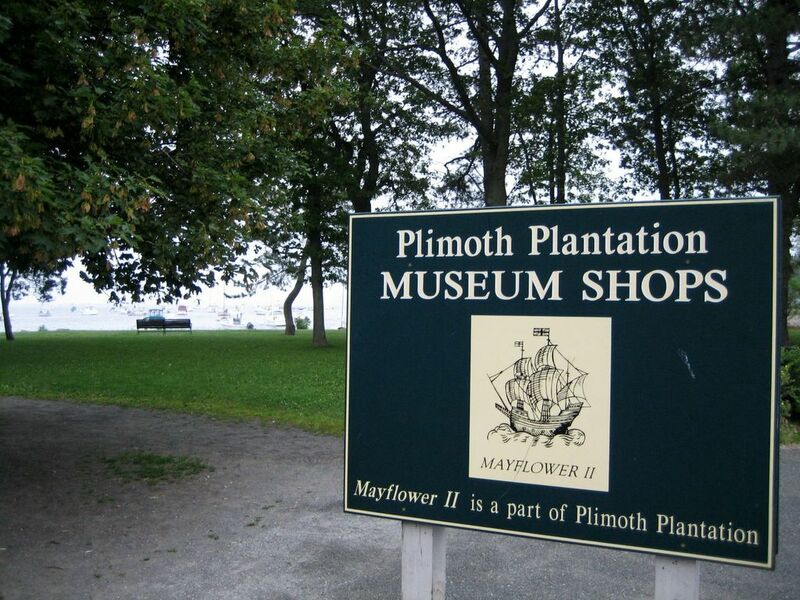 The settlers were not so kind to his son Metacom, who adopted the name "Philip" and succeeded his father in 1662. 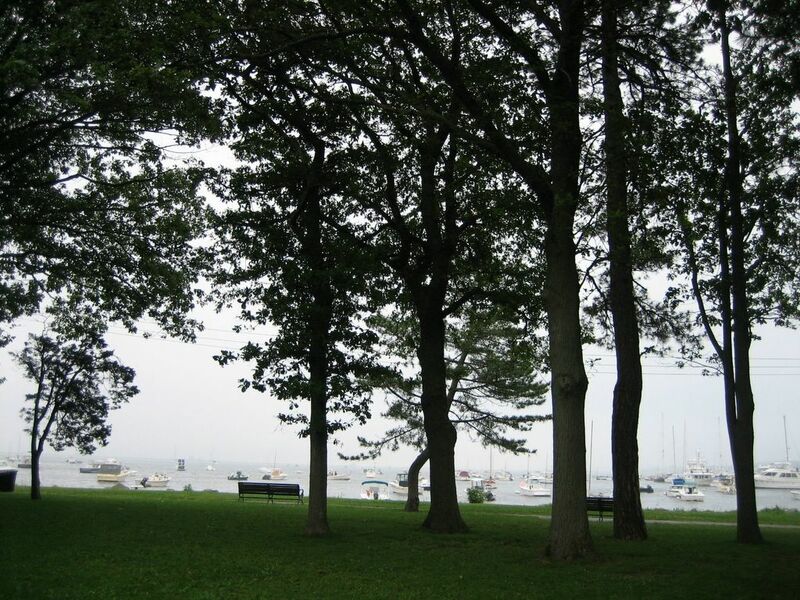 Metacomet started an uprising against the settlers that would later bear his name, King Philip's War. 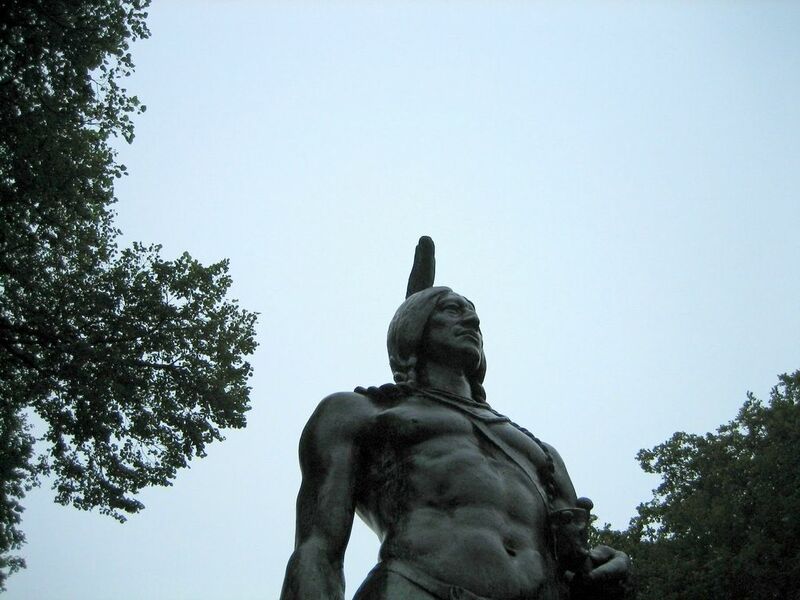 Hunted by a group of rangers, Metacomet was fatally shot in 1676. 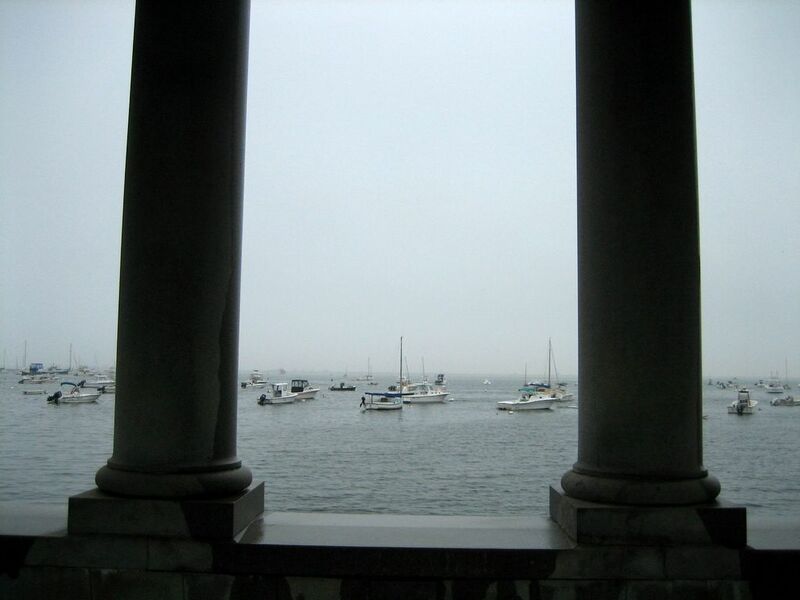 After his death, his wife and 8-year-old son were captured and sold as slaves in Bermuda while his head was mounted on a pike at the entrance to Fort Plymouth, where it remained for over two decades (source: Wikipedia). 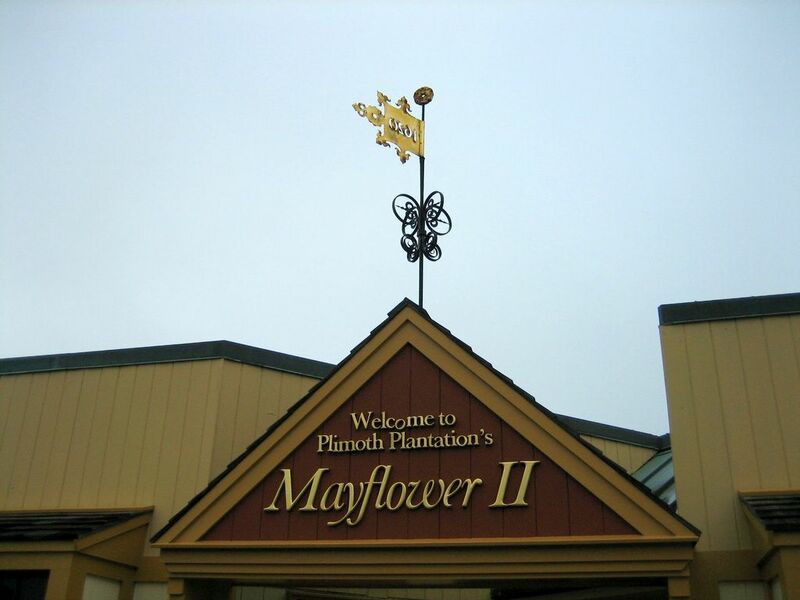 The Mayflower II is a replica of the 17th century ship Mayflower, known for transporting the Pilgrims to the New World (source: Wikipedia). 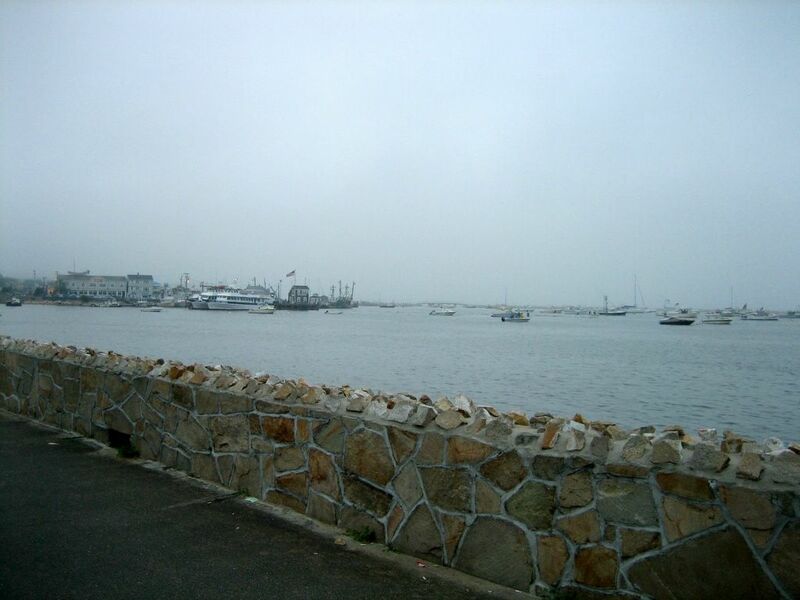 The ocean front street of Plymouth. 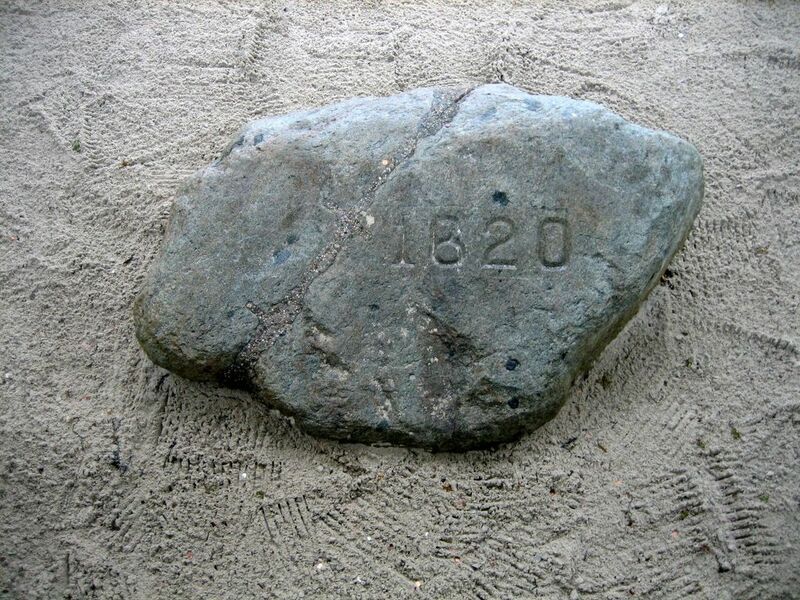 Please get your HISTORY straight!! certainly, Plymouth was vital also but your statement is incorrect!